Shown in vinyl white Blanc. 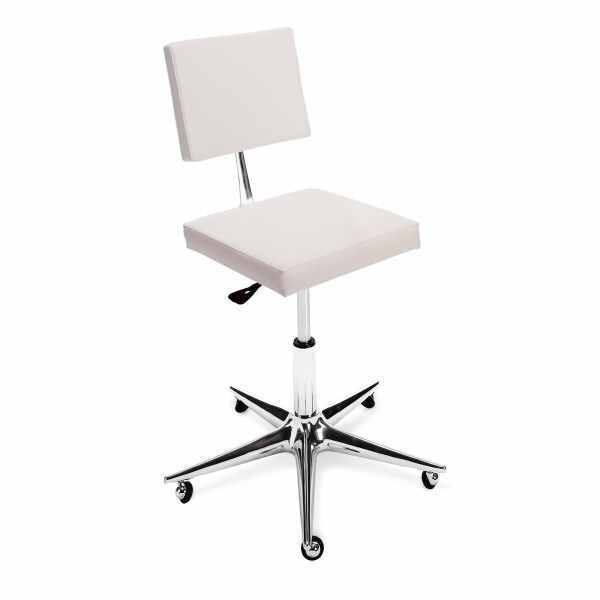 This stool comes with a seat in polyurethane material covered with vinyl (available in a variety of colors). Available with or without backrest. Made in Italy.